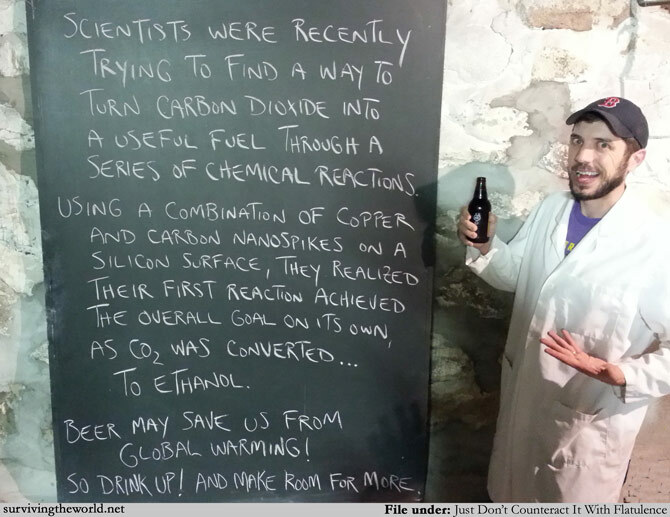 Okay, so the process won't produce beer, exactly, but it will help to produce fuel and may be entirely scaleable for large-scale carbon capture! That it's a room temperature process is pretty amazing, too. Nanotechnology has done / is going to do so many amazing things for the world, at least, right up until it produces the robots which subjugate us all and take over. Let's reap the benefit until then, at least.